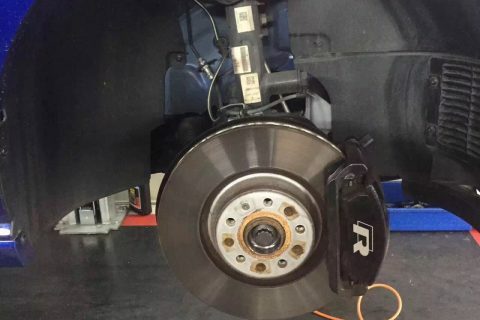 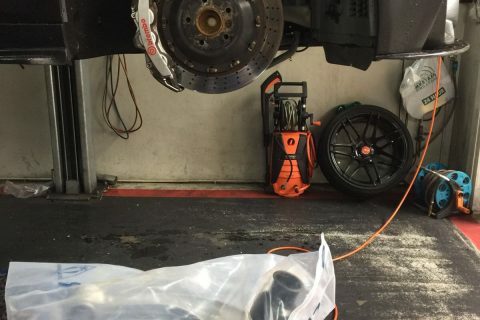 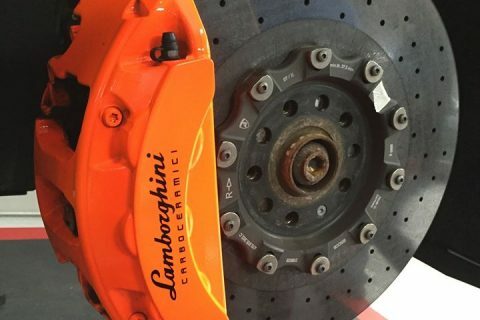 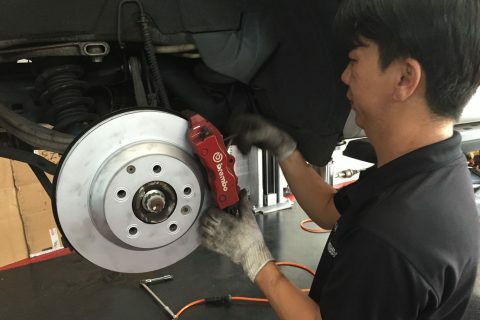 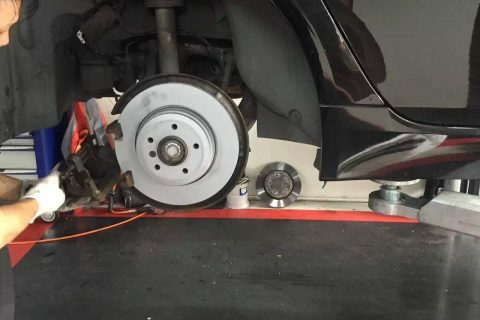 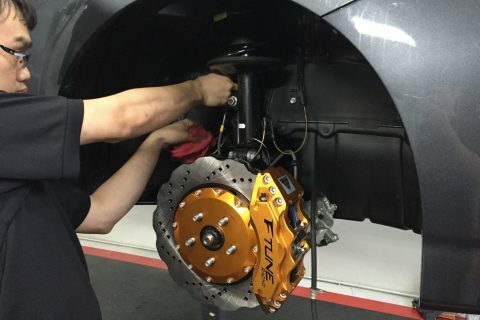 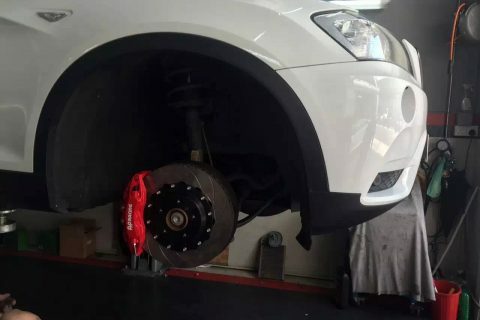 We offer a full range of brake services to vehicle owners in Singapore. 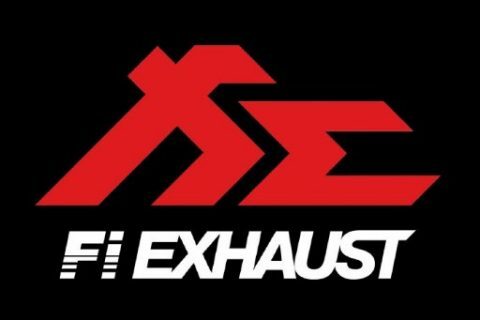 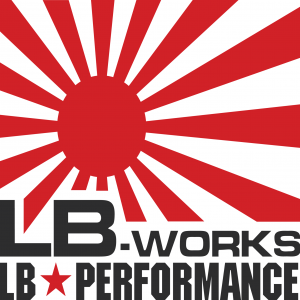 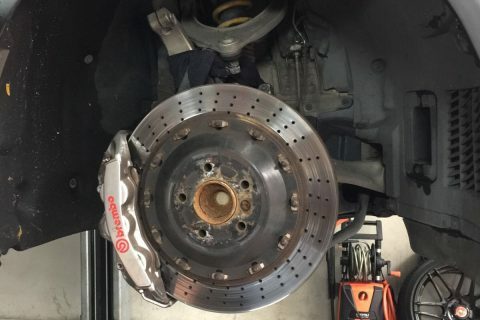 We provide brackets/brakes for Japanese, Korean, Continental and even Supercars. 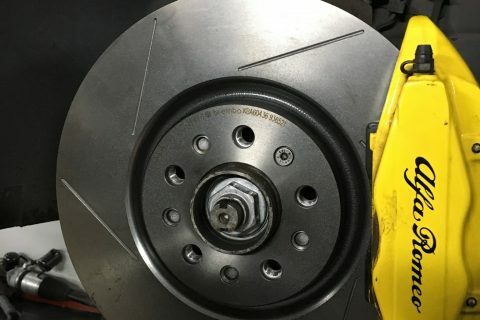 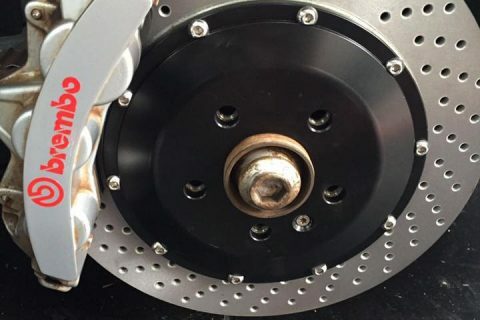 Big Brake Kits exceed stock performance in two key areas: First, larger rotors increase heat capacity, allowing a driver to brake harder stop-after-stop with reduced chance of fade. 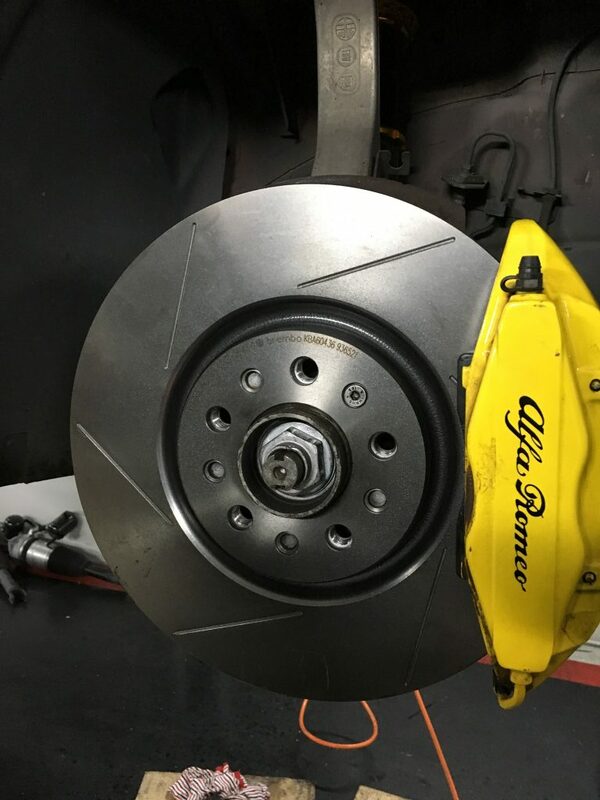 Second, stiffer calipers and stainless steel lines reduce system compliance, providing consistent pedal feel and confidence-inspiring responsiveness. 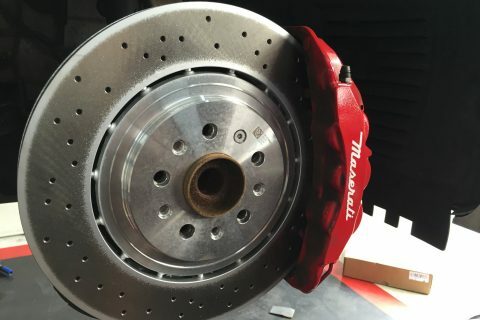 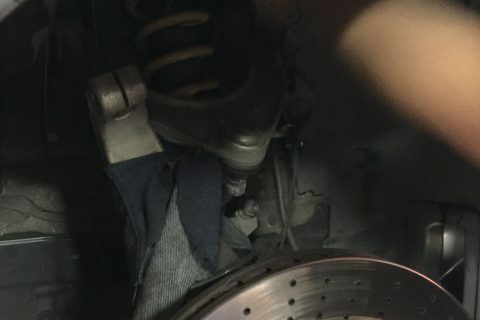 Big brake kits (BBKs) are a great way to ensure that you’ve got the stopping power required to stay safe.They feature a bigger rotor with more material so it can absorb more heat, offer more brake power which translates to shorter stopping distances, better brake modulation, less brake fade in the system and a better spread of heat over the cylinder to prevent damaging effects that other standard factory installed systems suffer from. 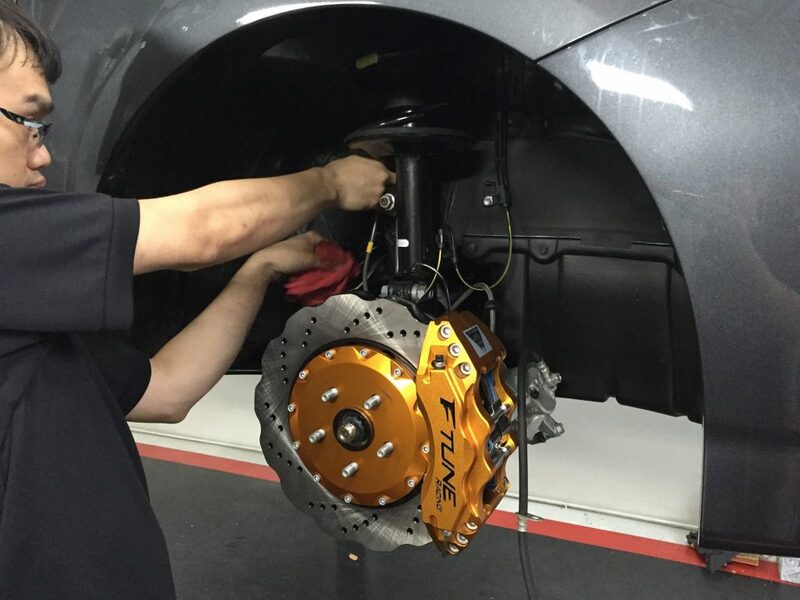 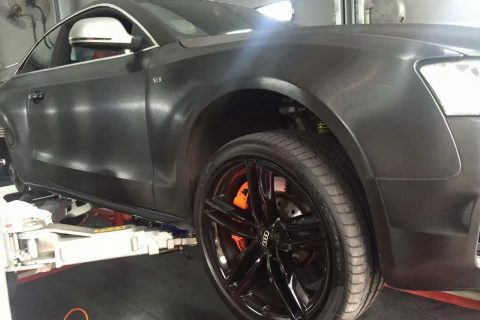 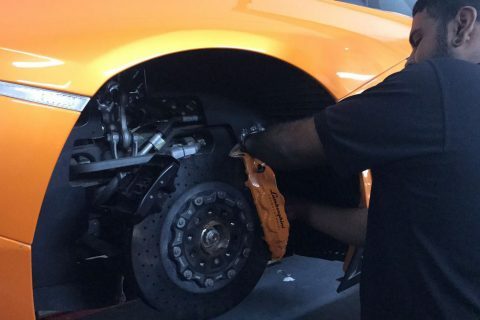 Our mechanics are trained to deliver proper brake inspection, repair, replacement and upgrades whenever you are faced with any kind of fault on the braking system in your car.